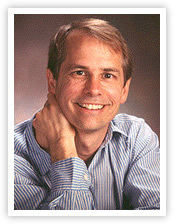 Dr. Tomson is a Chiropractic Physician with over 25 years of experience, 14 of those in the Fairfax Virginia area. In addition to his private practice, Dr. Tomson frequently provides educational sessions for groups on a variety of health related topics. He consults to individuals and organizations on workplace stress and computer ergonomics. In a typical therapy session he blends SOT with Craniosacral Therapy and Visceral Manipulation. Learn more about Chiropractic Therapy. Please call (703) 865-5690 to get more information or to schedule an appointment with Dr. Allan Tomson. Stop in, Call, or Email us to purchase a gift certificate for your loved ones or colleagues.